Treasury Secretary Steven Mnuchin told CNBC on Monday that President Donald Trump was pleased with Federal Reserve Chairman Jerome Powell‘s speech that eased fears of a more aggressive policy on interest rate hikes. The central bank has already raised rates three times this year, and another hike is expected in December. The target range for the central bank’s benchmark federal funds rate, which banks charge each other for overnight lending, stands at 2 percent to 2.25 percent. After its most recent hike, in September, the Fed projected three rate increases for next year. In a speech Wednesday, Powell appeared to walk back comments on Oct. 3 that rates were a long way from so-called neutral. He said rates are “just below” neutral, perhaps indicting that concerns about a more aggressive path higher for rates may no longer be warranted. That sparked a strong rally on Wall Street, with the S&P 500 having its best week in seven years. Trump had been critical of the Fed’s policies under Powell, blaming the Fed chief for the stock market’s recent declines and even General Motors‘ plan to cut production at several U.S. plants. The Wall Street Journal reported last month that Trump had expressed dissatisfaction with Mnuchin for recommending the appointment of Powell. Mnuchin on Monday responded by saying there are issues the president and he don’t agree on but “I tell him what I think.” Trump is “the president. He was elected. These are his decisions,” he added. 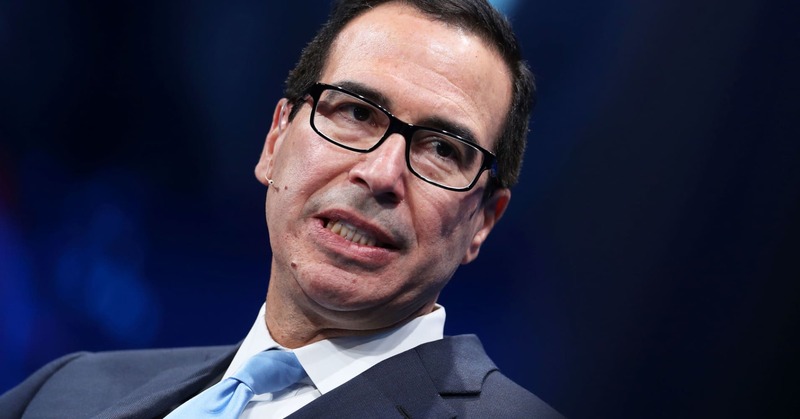 The Treasury secretary joined CNBC after Trump and Chinese President Xi Jinping reached a truce over the weekend in their bilateral trade war, agreeing to a 90-day period of no new tariffs as talks continue. Stocks rose more than 1 percent Monday on the news. Mnuchin told CNBC he’s hopeful for a “real agreement” with China over trade. He said trade policy remains an important pillar of the Trump administration’s goal of delivering economic growth of 3 percent or better.